Day 01 : Arrival Srinagar. On arrival at Srinagar , you will be met by our representative at the airport and transfer you to Deluxe Houseboat. Afternoon Tour of the Famous Mughal Gardens (Nishat and Shalimar), Enroute Visiting Kashmir Carpet Weaving and Handicrafts. Overnight at the Houseboats. Morning leave for Gulmarg reaching Hotel Highland Park. Afternoon Skiing / Gandola Ride. Overnight at the Hotel. 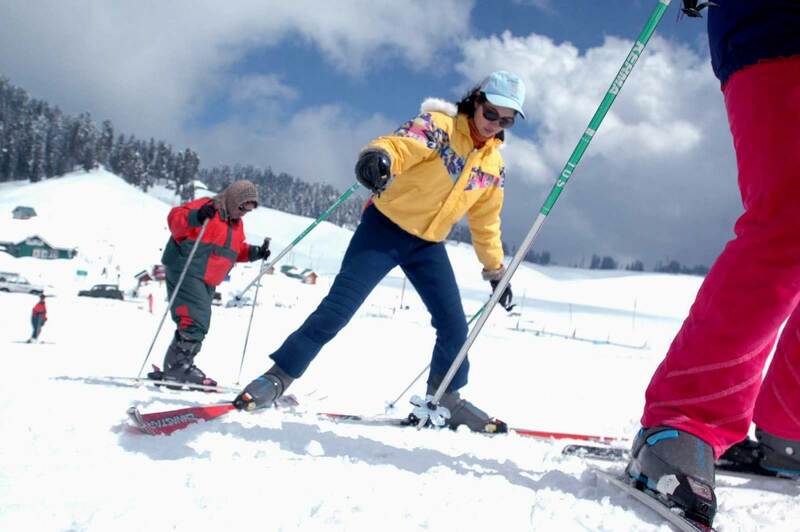 Full Day at Gulmarg. Overnight at the Hotel. Morning leave for Srinagar, Transfer to Super Deluxe Houseboat. Afternoon Shikara Tour on Dal-Lake. Overnight at the Houseboat. Transfer to Airport for Flight to Delhi. Any other Taxes imposed by Govt. W.E.F 01ST APRIL 2015.